Lock in a great price for Muse Saint Tropez / Ramatuelle - rated 9.6 by recent guests. Amazing property and staff. Emma and Karim were incredible and did an outstanding job! We will be back again. The service was second to none. Karim and his exceptional staff made sure our stay was perfect. Fantastic facilities, engaged and helpful staff, excellent shuttle service. The atmosphere around the pool, the staff and the food were a joy. We also loved the gardens. The restaurant was brilliant and the staff bent over backwards to make you feel comfortable and special. Wonderful small hotel with the best caring and well educated staff! Highly recommendable! Shuttle service very efficient to get to beaches and the port of St Tropez! The decor is gorgeous, the staff extremely hospitable, the food delicious, and an amazing pool. Nothing to not like. Highly recommended! And although it's slightly out of town, the hotel offers a 24 hour on demand Luxe shuttle. Incredibly convenient. Beautiful swimming pool, vey luxury acommodations, lots of perks. 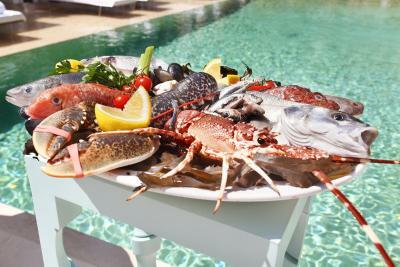 One of our bestsellers in Saint-Tropez! 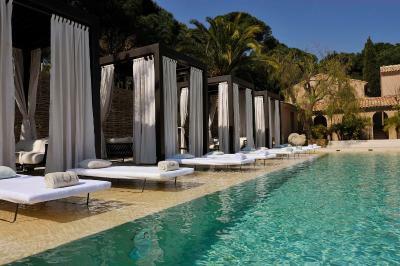 Muse Saint Tropez/Ramatuelle is a luxury hotel with elegant decor, an Eco-friendly garden, spa and swimming pool. 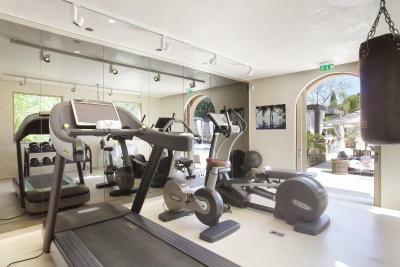 Muse Saint Tropez / Ramatuelle has been welcoming Booking.com guests since 8 Jan 2014. 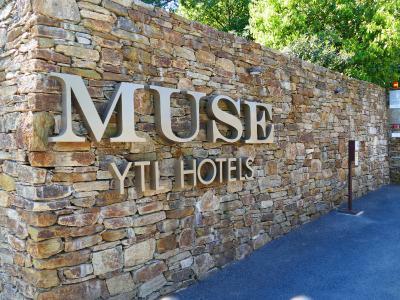 When would you like to stay at Muse Saint Tropez / Ramatuelle? 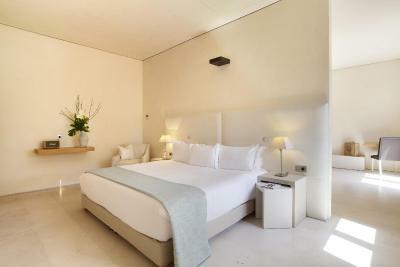 This suite features a living room, private terrace, bedroom with queen size bed and spacious bathroom. 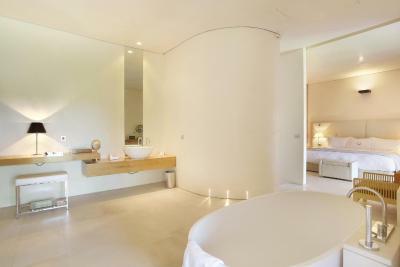 This intimate, luxury suite opens out on to a Mediterranean garden with plunge pool. This 'muse' suite has a living room opening out on to a private terrace with plunge pool and outdoor shower. 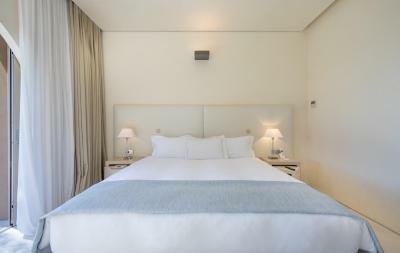 The luxurious bedroom features 2 balconies with sea views. 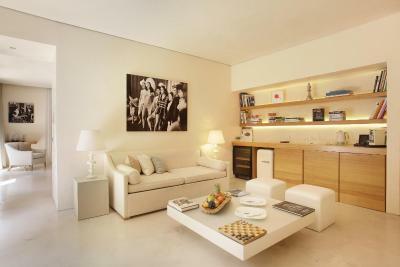 This refined and luxurious suite features a lounge and opens out onto a private terrace. 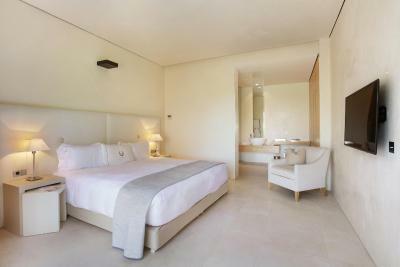 This large prestige suite has a spacious bedroom with king size bed, a luxurious bathroom with bathtub, a living room and a terrace with plunge pool. 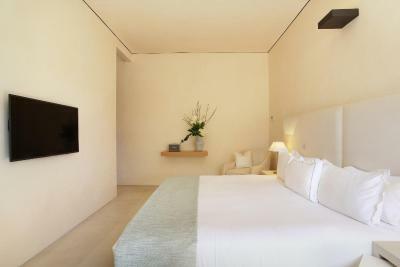 This luxurious 'Muse' suite has 2 bedrooms, a living room and bathroom with walk-in shower and bath tub. It features a garden with plunge pool and outdoor shower, as well as a large balcony with sea views. Encapsulating the laid-back glamour of the Riviera, MUSE Saint Tropez is a chic bespoke retreat that reflects architectural simplicity nestled in the heart of an award-winning ecological and self-sustainable garden designed by acclaimed landscape artist, Sophie Agata Ambroise. MUSE is a state of mind where minute details interweaves with life's perfect moments or time bubbles of pure happiness. A celebration of senses, tastes and textures. Evoking pleasure to the eye. MUSE leaves nothing to chance to make each second with us a true delight. House rules Muse Saint Tropez / Ramatuelle takes special requests - add in the next step! One child under 16 years is charged EUR 95 per night when using existing beds. All further older children or adults are charged EUR 95 per night for extra beds. Muse Saint Tropez &#47; Ramatuelle accepts these cards and reserves the right to temporarily hold an amount prior to arrival. Muse Saint Tropez / Ramatuelle accepts these cards and reserves the right to temporarily hold an amount prior to arrival. Guests using an extra bed can also have breakfast. Please note that extra beds are available upon request and subject to availability. The hotel is run to a budget, strangely poor breakfast, wine fridge in room has been turned off so you cant bring your own wine, and the position of the hotel offers no sea view. The hole in front of the pool. the helpfulness of the staff and the elegant design of this hotel and its rooms. I genuinely can't fault anything. Bar the plunge pool being a little cold in the room and that's all I can think of. AC control not available in room. Comfortable bed, concierge staff, hotel car service.